Paris – A draft World Heritage Committee decision released today by the United Nations Educational, Scientific and Cultural Organization (UNESCO) cautions that significant threats to the Great Barrier Reef remain, and calls on Australia to report back on progress in 18 months. “This draft decision will keep the pressure on the Australian government to turn its promises into real action and results,” said WWF-Australia CEO Dermot O’Gorman. DRAW THE LINE. SIGN NOW. 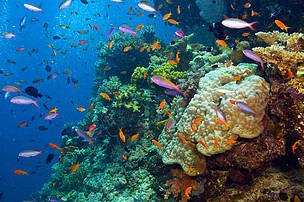 Official Australian government reports say that the overall health of the Great Barrier Reef is poor and deteriorating. The World Heritage Site has lost more than half of its coral cover in the past 30 years, and populations of animals such as dolphins, dugongs and sharks are in decline. In addition to being one of the planet’s richest marine habitats, the reef generates nearly US$5.8 billion each year and provides about 69,000 jobs. 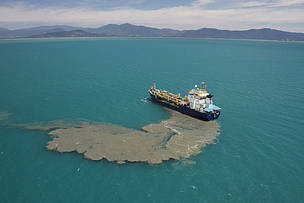 Megaport expansions proposed along the coast have brought new threats to the reef from dredging, dumping, and increased shipping. Plans to ban the dumping of dredge spoil in the reef’s World Heritage waters have been progressing at the federal and state level, but have not yet come into force. Last year the World Heritage Committee expressed concerns over industrialization in the area and said that unless significant improvements are made, the reef could be in inscribed on the List of World Heritage in Danger. The 21 member countries of the UNESCO World Heritage Committee will gather in Bonn, Germany next month to debate the status of the Great Barrier Reef and other extraordinary natural places. Over 350,000 people from around the world have joined WWF’s campaign calling for world leaders to defend the reef from industrial destruction. “UNESCO has made the right decision. The future World Heritage status of the reef should rightly be determined based on the actual condition of its precious corals and marine life - as assessed by scientists,” O’Gorman said. The Great Barrier Reef has thousands of kinds of fish and hundreds of types of corals. Take action now! Draw the line against industrial destruction of the reef! Australia has pledged to ban dumping in the World Heritage Site.